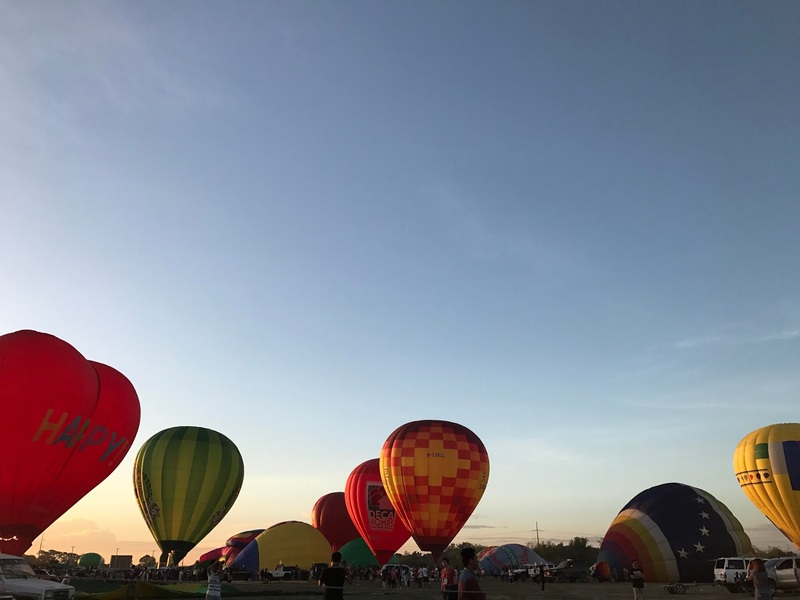 Last year's International Balloon and Music Festival, which was held last April 6 to 9, showered the skies of Lubao, Pampanga with more than 30 colorful hot air balloon flights from local and international participants. There were plenty of activities that were suited for all ages such as skydiving and paragliding, fireworks displays, and magic shows that filled four wonderful days. It’s as clear as a sunny sky that #LubaoIBMF2017 created an amazing time for everyone, especially as it was capped off with a concert that kept everyone excited, featuring international artists like Alex Aiono, Red Foo, and local bands including Sponge Cola, Parokya ni Edgar, and Bamboo. Because of last year’s massive success, the event is set to happen again this 2018. The LubaoIBMF is now on its fifth consecutive year, the event promises to be an even more fun-filled and exciting experience. 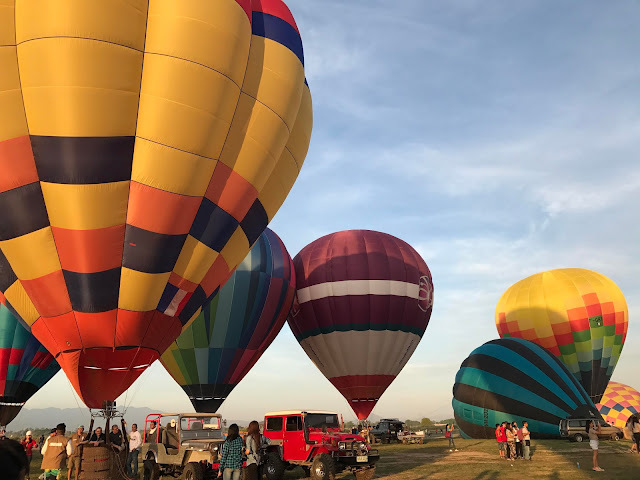 The morning skies of Lubao, Pampanga will be painted by 30 gorgeous hot air balloons from France, Belgium, Australia, Brazil, Spain, Japan, Thailand, and more. This includes 8 balloons in special shapes that will surely amuse festival-goers. An exhibition of aerial shows will also be in place for those who enjoy fearless displays. On top of that, entertaining land-based activities are set up such as car shows, rides, Zoocobia, inflatables, Kite Flying, food festival, bazaars, and other solid stunts. The skyline will be graced by ultralight aircrafts during the day and then be lit up by glowing hot air balloons in the evening to illuminate the activity area as visitors have a great concert experience. Aside from exciting activities, the country’s favorite love teams McCoy & Elisse and Maymay & Edward will also make special appearances! Featured musical acts such as DJ Kyoto, Autotelic, December Ave, Ben & Ben and Ransom Collective will surely get the crowds jumping and swaying. 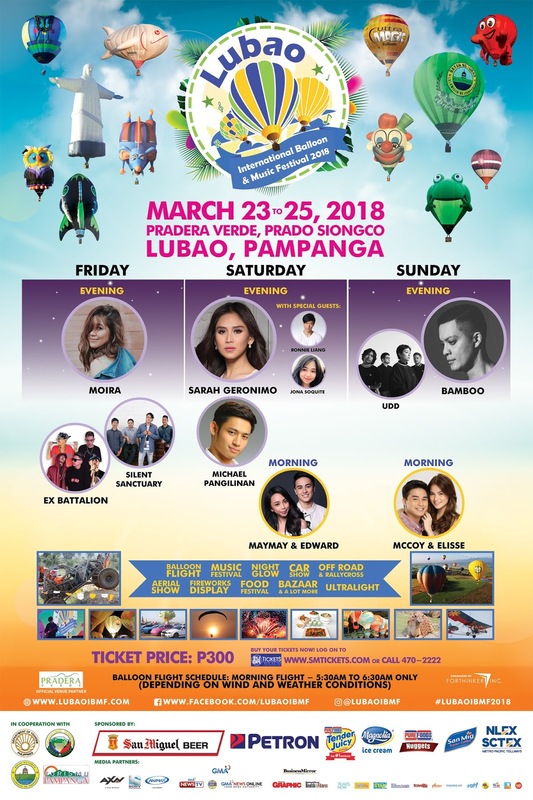 The festival also boasts performances from the country’s biggest artists including Ex Batallion, Silent Sanctuary, Michael Pangilinan, Moira Dela Torre, Up Dharma Down, Bamboo, and Sarah Geronimo. It’s going to be an unforgettable summer experience! Get your tickets now at SM Tickets. Ticket prices are at Php300 for General Admission valid for any one (1) day from March 23-25. The Lubao International Balloon and Music Festival 2018 is organized by Lubao International Balloon Festival, Inc. (LIBF) together with Forthinker, Inc., in cooperation with the Arts, Culture and Tourism Office of Pampanga (ACTO) and with support from Provincial Government of Pampanga. For further inquiries, you may contact Forthinker, Inc. from Mondays to Fridays, 9am to 6pm via landline (02) 942 0768, mobile 0929 559 1719. You may also visit our website at lubaoibmf.com and our facebook page at Lubao International Balloon and Music Festival (https://www.facebook.com/LubaoIBMF/). Thank you, I've recently been looking for info about this subject for a while and yours is the greatest I've discovered till now. But, what about the bottom line? Are you certain concerning the supply? May I just say what a relief to find someone that actually knows what they're discussing over the internet. You certainly realize how to bring an issue to light and make it important. A lot more people have to read this and understand this side of the story. I can't believe you're not more popular given that you definitely possess the gift.